Get on top of the fashion world by wearing Steven Land shirts for men. Steven Land has become the go to brand for all cotton dress shirts that are designed strictly for the fashion minded man with a City attitude. 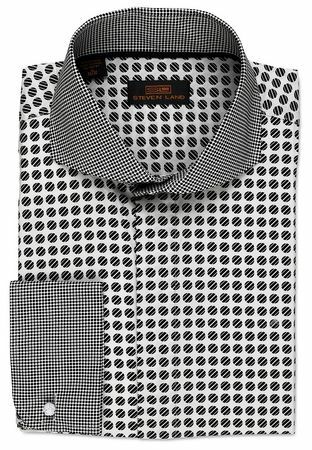 This white polka dot dress shirt features a spread style collar and french cuffs with small dots and the body has a larger contrasting dot design all made of cotton fabric.